The Queen of Soul Aretha Franklin passed away Thursday in her Detroit home. After a long battle with cancer, Franklin transitioned surrounded by her friends and family at the age of 76. According to TMZ, the memorial for Franklin will be held at the Charles H. Wright Museum of African American History in Detroit. Her funeral will allegedly be at Greater Grace Temple for close friends and family. Sources say the viewing will be an open casket. 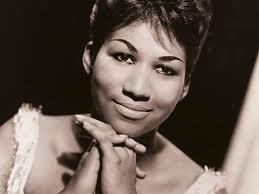 RIP to the Queen of Soul.